Looking for the best hostels in Seville? There are a lot to pick form but not every Seville hostel is worth your patronage. We’ve picked out what we think are the best of the best Seville hostels to help make your visit to this special city all the more memorable. 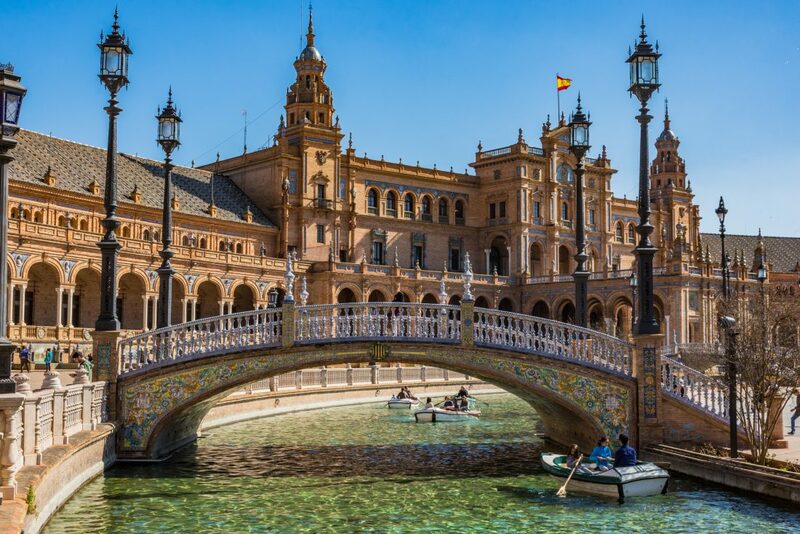 Seville is the capital of the Andalusia region of Spain. Famous for flamenco dancing and great weather, Seville provides an intoxicating mix of old and new. Incredibly unique architecture, vibrant culture and exceptional cuisine mean that Seville should definitely be on your bucket list this year! Trust us, there is so much to do in Seville you’ll never get bored! The enormous Gothic cathedral in the historic center of the city is one of the main attractions and the site of Christopher Columbus’s tomb.. The intricacy of the iconic Real Alcazar, built during the Moorish Almohad dynasty, will blow you away. Plaza de Espana (seen above) is a breathtaking complex of small canals and bridges in the city center, and definitely a must see in Seville. We highly recommend visiting the strange looking wooden Metropol Parasol, commonly known as “las setas”, which provides sweeping views of Seville’s skyline from the walkway at the top. Of course, one of the best things about Spain is it’s gastronomy. You’re spoiled for places to eat here! 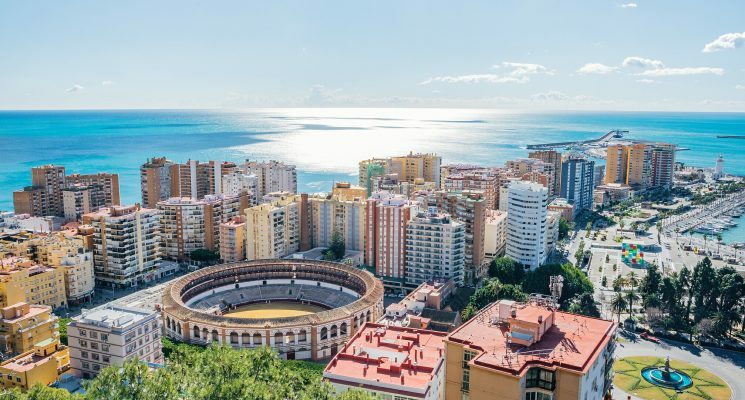 Enjoy some of the best tapas in Spain at one of the many traditional Spanish restaurants, or if you’ve got a sweet tooth waiting to be satisfied then pick up some fresh churros from one of the street vendors. 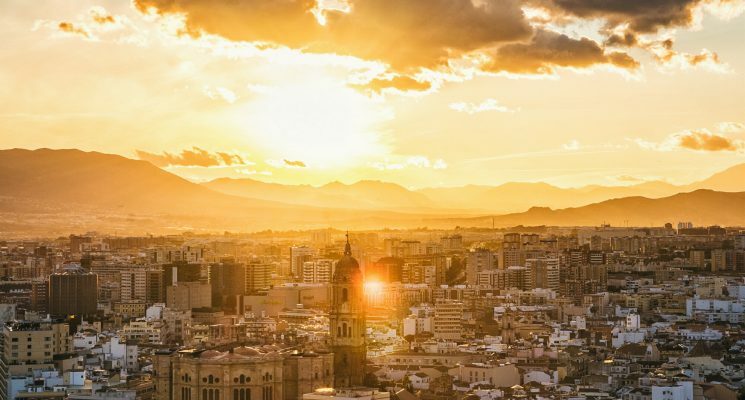 Take in the evening sun while you enjoy some sangria and tapas and watch as the plazas fill up with people and the flamenco dancers liven up the streets. Deciding on a hostel can be a tough decision, as it can definitely make or break your stay in a city! 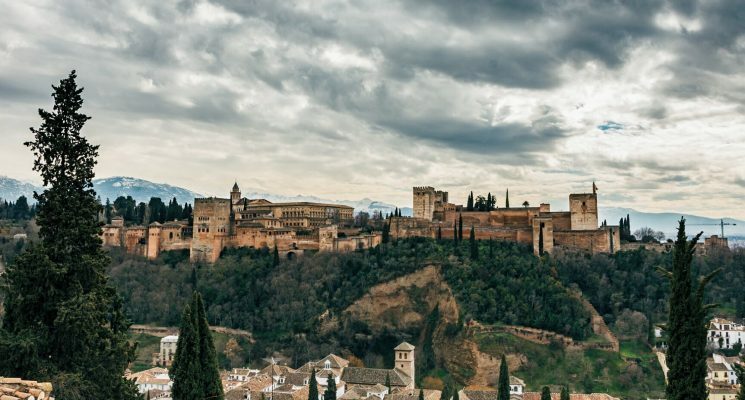 We’ve put together a list of some of the best hostels in Seville to help you make the most of your experience in this extraordinary Spanish city. 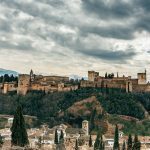 We’ve put together this list based on what we personally expect out of a great hostel in Seville. Clean rooms, comfortable dorm beds with power outlets, secure luggage storage, friendly atmosphere that encourages interaction (but doesn’t force it), and a communal kitchen are all super important aspects in our eyes, and we prioritize them when suggesting a great Seville hostel. All of these are factors when it comes to making our selection of the best hostels in Seville. We have to admit it. We’re biased. We’ve stayed at the Oasis Backpackers’ Palace in Seville numerous times, and we would definitely stay there again. Aside from being located in a super cool building and being as clean as any hostel we have ever seen, Oasis also has a rooftop pool, rooftop bar, relaxed vibe, great staff and a central location. Whew, that’s a mouth full. Regardless all of these factors combing to make Oasis Backpackers’ Palace one of the very best hostels in Seville. 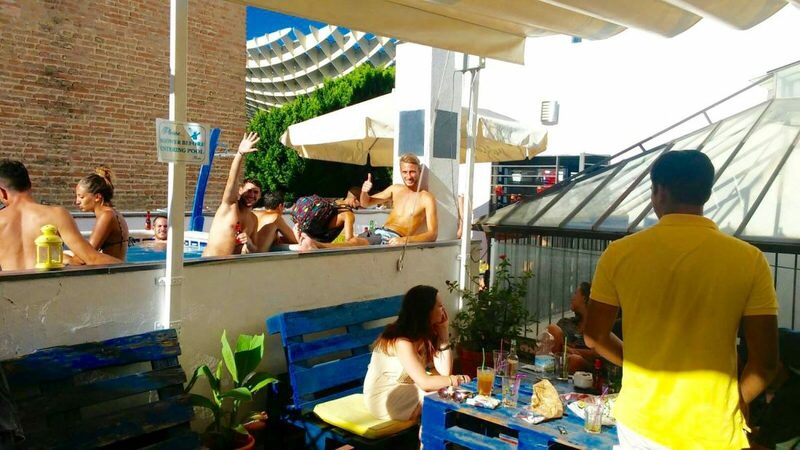 It can also double as the best party hostel in Seville, if you are inclined to spend your times on the roof meeting people and going out to the pub crawls in the evening. 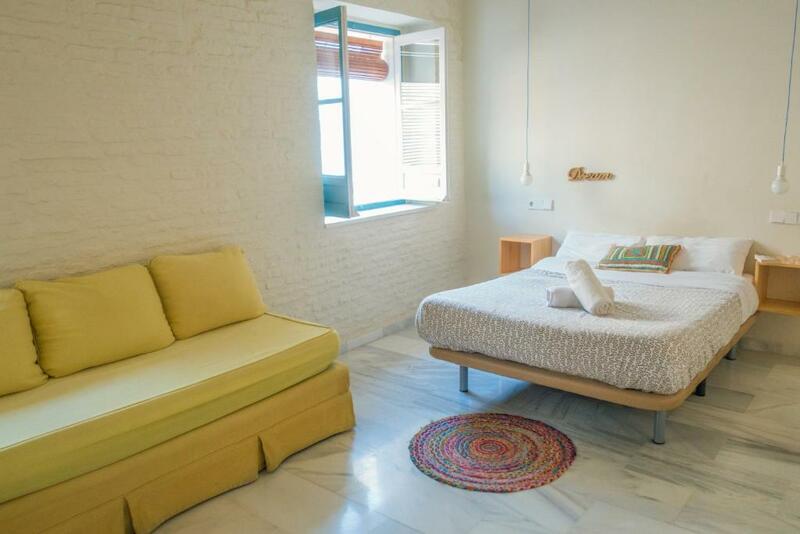 Offering dorm rooms of various sizes, as well as private rooms, this Seville hostel is nothing short of comfortable. Rooms are spacious and airy, and you don’t have to worry about the hot water running out because here it’s solar powered! Each room is air conditioned so you don’t have to put up with hot, sticky nights, and provide guests with secure individual locker facilities to store valuables. Located in the heart of the city centre close to El Corte Ingles and Plaza de Armas, exploring the city will be a breeze from Oasis Backpackers’ Palace Sevilla. This hostel is just minutes walk from some of Seville’s best sites including the Cathedral, the Alcazar, the Alfalfa, the Alameda and the market on Calle Feria. At Oasis Backpackers’ Palace Sevilla, their philosophy is that guests should be connected with each other in order to learn and experience this beautiful city in the best way possible. For this reason, the hostel organizes daily activities to encourage the social atmosphere. 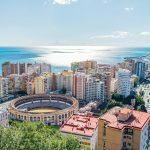 Some of these activities include free walking tours, language, dancing and cooking lessons, as well as plenty of pub crawls and tapas tastings. There are many spaces to sit back and relax in the sun, like the rooftop terrace featuring a pool, newly renovated bar, and restaurant. 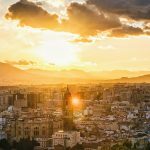 This Seville hostel is a short walk from buses connecting you to other cities in Spain such as Cadiz and Malaga, so you won’t have far to go when you’re ready to move on. The staff here are super accommodating and will do their best to ensure you experience Seville like a local. Ask them for recommendations of places to visit and where to find the best tapas and sangria in town! The sister hostel to Oasis Backpackers’ Palace, Oasis Backpackers Hostel is located within the heart of the city in a contemporary Seville townhouse. This small hostel is in an ideal location for exploring the city on foot. The Cathedral, the Torre del Oro, the Real Alcazar, Barrio de Santa Cruz, and Plaza de Toros are all just a short walk away. Join one of the free walking tours to learn more about the history of the city as told by a local! Surrounded by trendy tapas bars, traditional restaurants, lively nightclubs and shops, this is the perfect place to base yourself during your stay in Seville. The rooftop area is among one of the coolest common areas we have encountered in a hostel. Complete with a small pool and plenty of seating space you can use the roof to relax in the Andalusian sun during siesta time, and enjoy chilled cocktails and delicious daily BBQs. The rooftop of this exceptional Seville hostel is the perfect place to form new friendships, take in the breathtaking views of the city, or simply relax with a good book for a few hours. If you’re looking for a small, chilled out hostel with a great relaxed atmosphere, then this is the perfect choice for you. Oasis Backpackers Hostel Sevilla is a fantastic place to meet fellow travelers to explore the city with, and provides a great respite from the bustling city after a long day of being a tourist. Black Swan Hostel is located in Seville’s stunning historical centre. Much of the hostels design is made from recycled materials and promotes environmental sustainability. What’s more is some of the money you pay for your stay is put into local ecological, sustainable and cultural projects. Some of Seville’s most fascinating attractions such as Museo Militar Regional, Parlamento de Andalucia and Museum of Popular Arts And Traditions are reachable in a short walk. The old centre isn’t far either, where you can find delicious traditional Spanish food and drink. This great Seville hostel provides numerous communal spaces for socializing and hanging out, kicking back and relaxing. There’s an outdoor patio and a roof terrace to lounge about on with an ice cold beer during the warm summer evenings. Rooms at Black Swan are spacious and well equipped with everything you need. Rooms are air-conditioned, so you won’t have to worry about the intense Spanish heat getting in the way of your beauty sleep. The rooms also have balconies where you can get some fresh air or wind down with a good book. Facilities are modern and the beds are super comfortable! The amazing atmosphere at Black Swan is amplified by the friendly and sociable staff, who are always willing to give advice and join in with conversation. This Seville hostel organises various social events, such as bar crawls and flamenco nights which you will be encouraged to join! If you want a sociable hostel with plenty of opportunities to meet fellow travelers then look no further than Black Swan! The concept of La Banda = gang of friends. The welcoming and social atmosphere, unbeatable location and fantastic facilities are some of reasons why La Banda makes it onto our list as one of the best hostels in Seville. The friendly hostel environment encouraged guests to socialise with each other through communal spaces, group dinners and family-like feel of La Banda. Every night guests at this great Seville hostel are welcomed to join in a family dinner on the rooftop with breathtaking views of Seville’s skyline and the cathedral. This homely hostel is a great place to meet like-minded travelers in the reception area over breakfast or on one of the various activities run by the hospitable staff. If you wanted a weekend of doing nothing but relaxing in Seville then forget this hostel! With organised activities every day of the week, you’ll find your to-do list soon fills up. Live flamenco shows and music on the roof, pub crawls and nights out to some of the best underground clubs in Seville will keep you busy. Get a taste of the local life with tips and tricks from the staff who call Seville their home. They’ll point you in the direction of the best sites, shops and of course where to find the best (and cheapest) tapas! 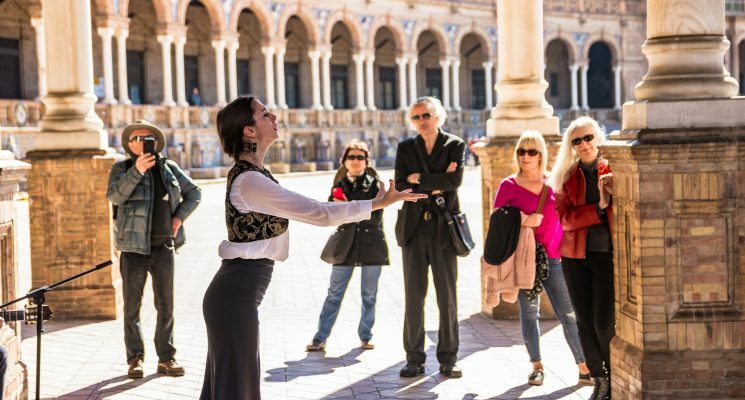 Feel free to join one of the free walking tours with guides who speak English, Spanish and French. La Banda’s chilled vibe and down to earth atmosphere make it one of the best hostels in Seville for socializing and getting to know the city like a local. It’s ideal location right in the heart of Seville, a mere 600 meter walk from the Cathedral, and social atmosphere are just a few of the reasons why Nomad Hostel is one of the best hostels in Seville. The hostel is located close to many of Seville’s historic and cultural heritage sites in a newly renovated traditional Seville house. 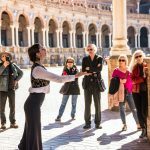 It’s the perfect location if you want to explore Seville’s fascinating historical side, while at the same time being in the perfect area for experiencing it’s lively .culture. 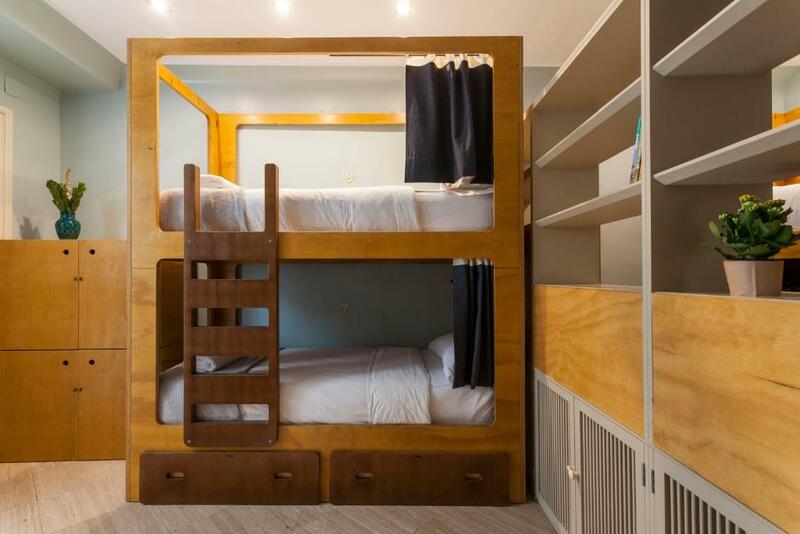 This terrific Seville hostel offers dorms of various sizes, all fitted with comfortable bunk beds hand-crafted by local artisans, air conditioning and secure lockers facilities to keep your valuables safe. The hostel provides many spaces for socializing and getting to know fellow backpackers. There’s a big, airy courtyard which is the perfect place to take in the morning sun while setting yourself up for the day with a healthy breakfast. 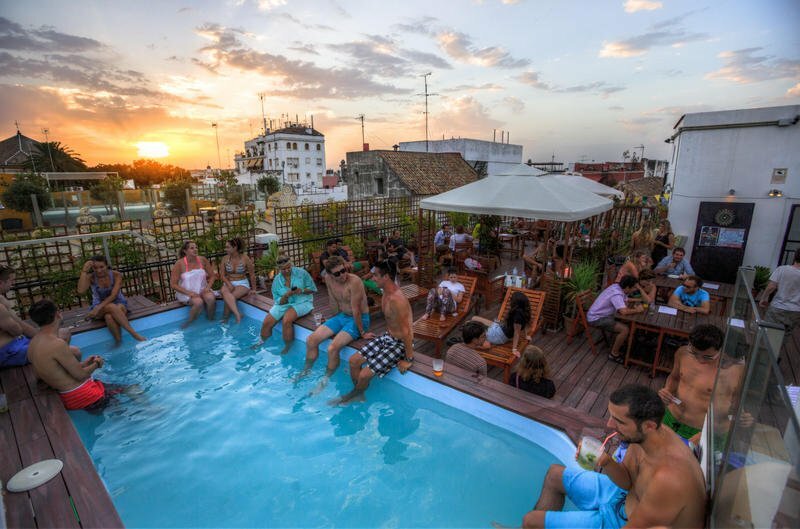 There’s also a rooftop area with a bar which hosts activities throughout the week, such as flamenco, movie nights, live music and even yoga classes! One of the most loved parts of this hostel are the staff! Seasoned backpackers and locals make up the team at Nomad Hostel, and you can rest assured that all your questions about Seville will be answered. They’re more than willing to provide tips and tricks, and they know the ins and outs of this stunning city! Various themed tours operate daily, including tapas tours, bike tours and walking tours. So you’ll have plenty to fill your days and nights with!